Mundelein has a plethora of world class eats and drinks. As a heads up, some of these restaurants participate in Lake County Restaurant Week which happened in June last year, but there may be a change in dates. Continue here to check back on the Restaurant Week Updates so you can join the festivities munching on Mundelein eats and drinks. Anyway, getting back on the idea of delectable dishes, here are your top eats and drinks in Mundelein. Bill’s Pizza & Pub is a family-friendly restaurant, since 1957, with a unique, comfortable, rustic, northwoods-inspired dining room with incredible wildlife mounts. World’s renowned first double-decker and famous thin crust pizzas are outstanding! Their menu also has delicious sandwiches and desserts. The atmosphere is relaxed, the beer is cold and served in a frosty mug, and the food is great. Throw your cares out the window and your peanut shells on the floor. Have Kids? Great! Bill’s offers a large selection of video games for children. Convenient carryout and prompt delivery service, allows quality pizzas, sandwiches, and munchies to be enjoyed in the comfort of home or a hotel. A unique experience in seafood dining, specializing in seafood, crab legs, lobster tails, imported Dover sole, and much more. Their lunch and dinner menus include awesome appetizers, steaks, ribs, lamb chops, pastas, salads and sandwiches. Children’s and early bird menus are also available. The wine list contains a selection of wines from different countries including France, Greece, Germany, Italy and Australia, and states of Washington and California to compliment every meal. Enjoy live music and dancing in the lounge Friday and Saturday nights. Dover offers friendly courteous service in a relaxing atmosphere for lunch or dinner. Dining at El Barrio is always a memorable experience. This family owned restaurant offers a Tex-Mex food, comfortable atmosphere and colorful decor that makes customers feel as if they have traveled to Mexico. 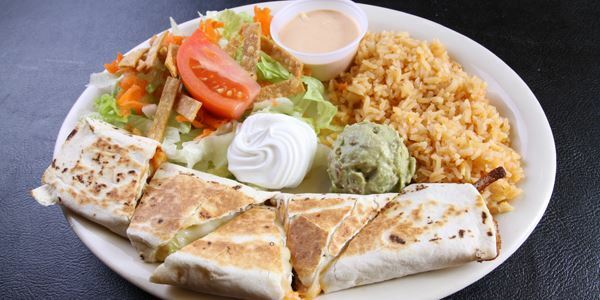 The menu is full of authentic Mexican dishes. Be sure to ask about the fine selection of tequila from the bar. 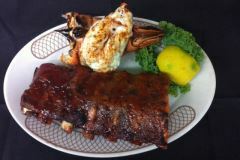 Family friendly restaurant that offers awesome ribs, steak, seafood, a kid’s menu, private space for banquets. We also offer a gluten-free menu. To find more yummy eats and drinks in Mundelein, continue here.